Three Billboards Wins 5 Prizes at the 2018 BAFTA AwardsGary Oldman, Allison Janney, and Daniel Kaluuya were among the night’s other winners. Award Winner Frances McDormand Wants More Young Actors to Win ‘Doorstops’Is McDormand putting in her vote for Margot Robbie or Saoirse Ronan to take home this year’s Oscar? 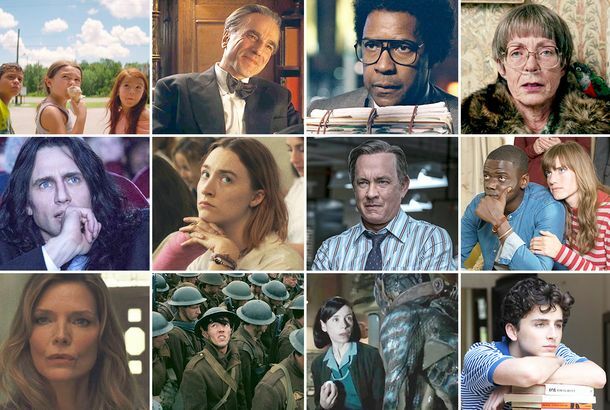 To Win an Oscar in 2017, You Have to Make the Movie That Speaks to the MomentBut between Trump, Harvey, and everything else, good luck guessing which moment to speak to. 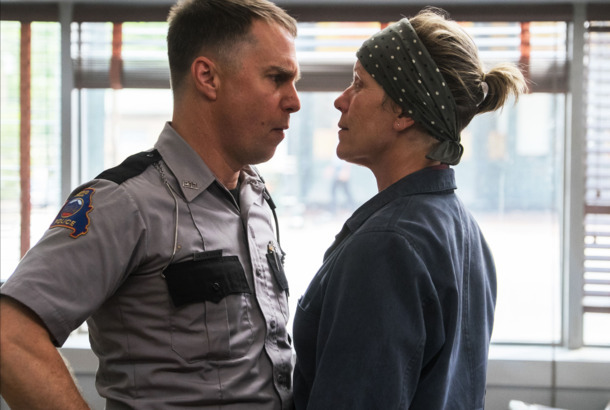 Martin McDonagh’s Filthiest Lines, From Three Billboards to In BrugesThe funniest, dirtiest dialogue from McDonagh’s Three Billboards Outside Ebbing, Missouri to In Bruges to Seven Psychopaths. Behind the Scenes of Three Billboards Outside Ebbing, MissouriThe blood-red signs became the talk of the town in more than just the fictional town of Ebbing. The Real Hero of Three Billboards is Frances McDormand’s JumpsuitIt’s something ordinary made striking through force of will. Three Billboards Outside Ebbing, Missouri Trailer: Frances McDormand Fights CopsOne way or another, Frances McDormand gets her message across.